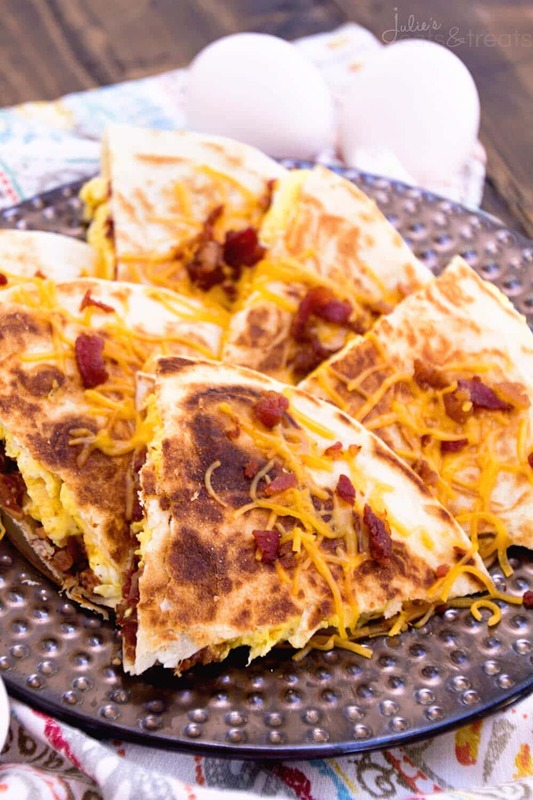 Bacon, Egg & Cheese Quesadillas Recipe ~ Crispy, Pan Fried Tortillas Stuffed with Bacon, Egg & Cheese! 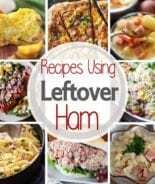 Makes the Perfect Quick, Easy Breakfast Recipe! Let me bring you back to my Sunday morning this past weekend. The picture goes something like this. I’m in the kitchen (surprise!) and the hubby is lounging on the couch. As I’m making bacon egg muffins he asks with a sheepish grin, “Do you think you could make me a breakfast quesadillas also?” Sure, anything else I can do for you sir? Quesadillas – Hubby is obsessed! We received a quesadilla maker for our wedding and he has not stopped making them since. I love it because when I have no other ideas for food I quick grab that and know he’s going to be happy with whatever I put in there. It’s basically a Sunday ritual to make quesadillas with whatever ingredient we have sitting around. 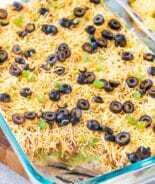 I really want to try Artichoke and Spinach Dip quesadillas like you find at a restaurant next! Ah it’s all good. I love him dearly and I’ve only had a few days a week to treat him to home cooked meals so I better do it when I can. He’ll be back after this week and things might change a little! This isn’t even hard enough to justify a recipe and sometime I think are people going to thing I’m pointing out the obvious? 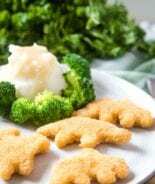 But these were so good and in case you wanted a recipe I thought I’d post one. 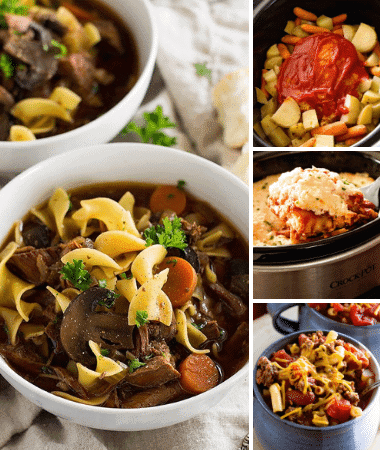 They are super simple and quite tasty. It’s a different twist on the plain old bacon and eggs. We have a handy quesadilla maker but you can make these in a frying pan also so don’t let that stop you. Crispy, Pan Fried Tortillas Stuffed with Bacon, Egg & Cheese! 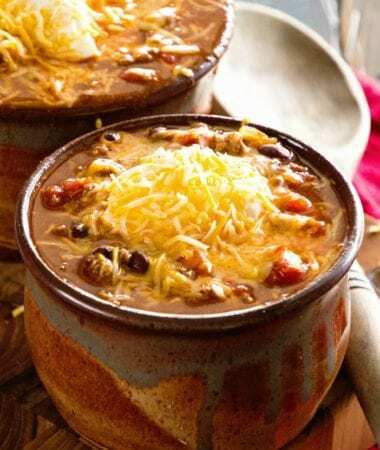 Makes the Perfect Quick, Easy Breakfast Recipe! In a small bowl whisk together eggs and milk. Pour eggs into a small skillet and scramble over low heat. Remove eggs to small bowl and cover with tin foil. In the same skillet put one of the burrito shells down. 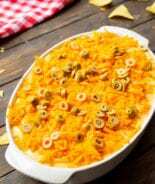 Top with scramble eggs, cheese and bacon bits. Place the other shell on top. 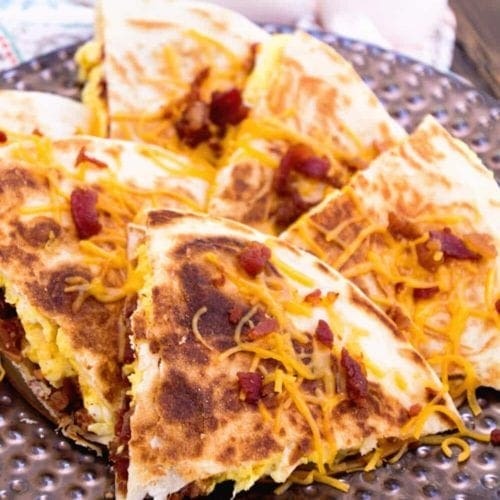 Cook until the burrito on the bottom is golden brown then flip and cook until other side is golden brown..
Craving More Delicious Breakfast Recipes? 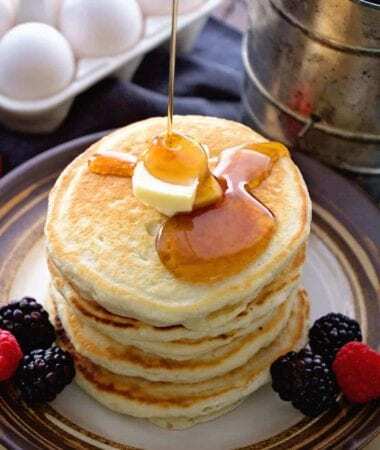 Follow my Breakfast Recipes Board on Pinterest! 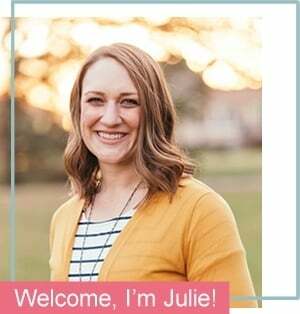 Follow Julie Evink | Julie’s Eats & Treats’s board Breakfast Recipes! on Pinterest. 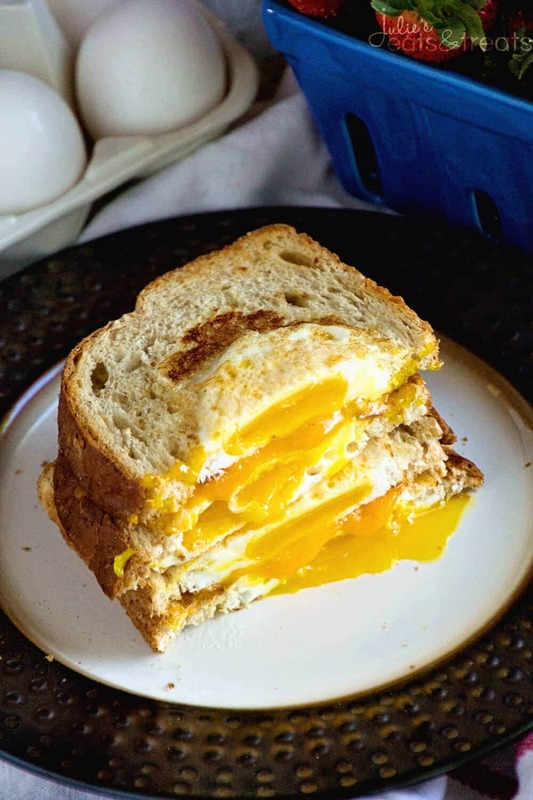 Cheesy Egg in a Hole ~ Delicious Breakfast Sandwich Recipe! Quick and Easy Eggs in a Piece of Toast with Cheese Sandwich Between them! 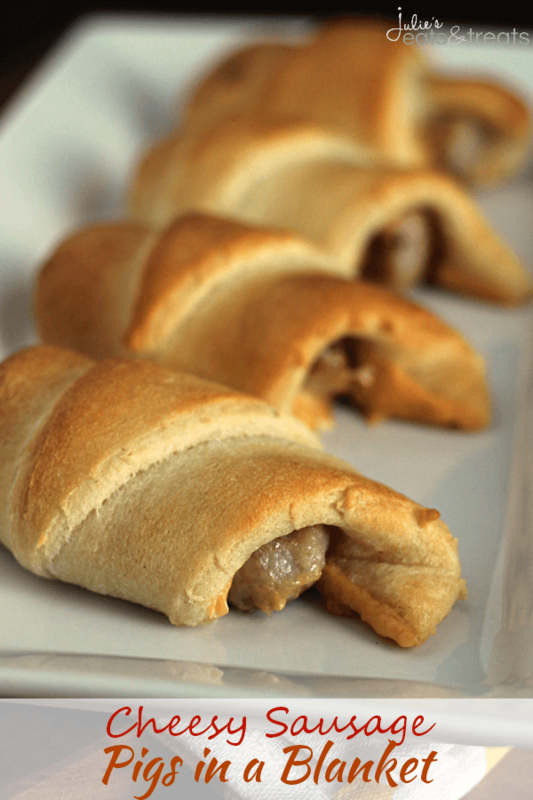 Cheesy Sausage Pigs in a Blanket ~ Flaky Crescent Rolls Stuffed with Sausage and Cheese! 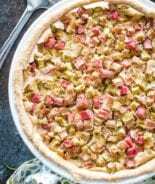 Quick, Easy and Perfect for Breakfast! My daughter LOVES bacon, egg and cheese sandwiches. I think she would love this for breakfast one morning! 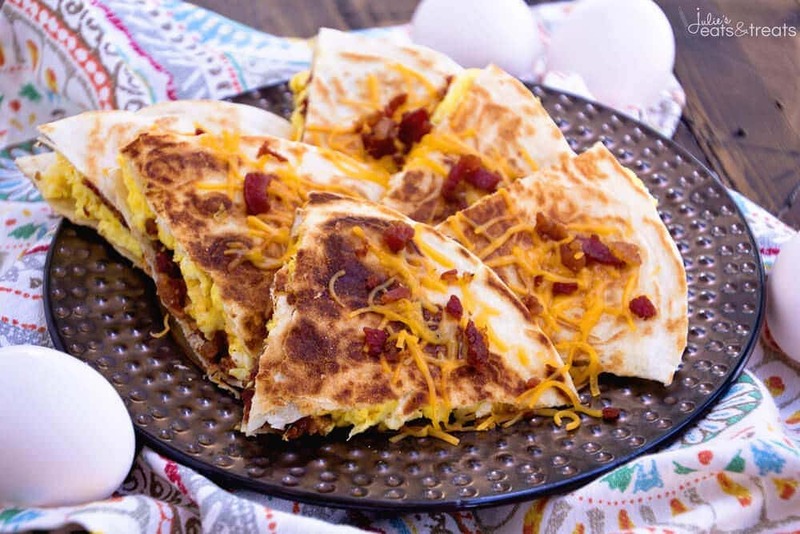 My husband is obsessed with quesadillas or anything Mexican and breakfast is my favorite so these quesadillas sound perfect! Love how easy they are!